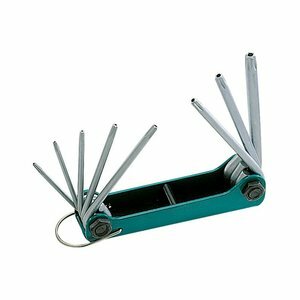 Folding key sets with TORX bits, that comes in a convenient and compact cases. 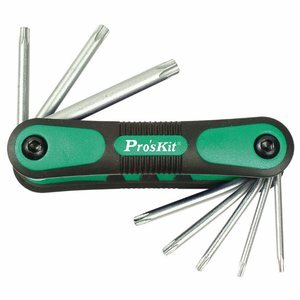 Nickel-plated and sand-blasted Pro'sKit screwdriver set with eight TORX-type bits. 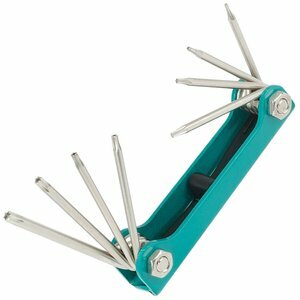 Screwdriver HW-121L is equipped with torx tips. Star keys T9H, T10H, T15H, T20H, T25H, T27H, T30H, T40H in an elegant pocket size case.